You are here: Home » Alleged cop killer David Eastman facing retrial after 19 years in jail. Is this Australia’s JFK conspiracy? 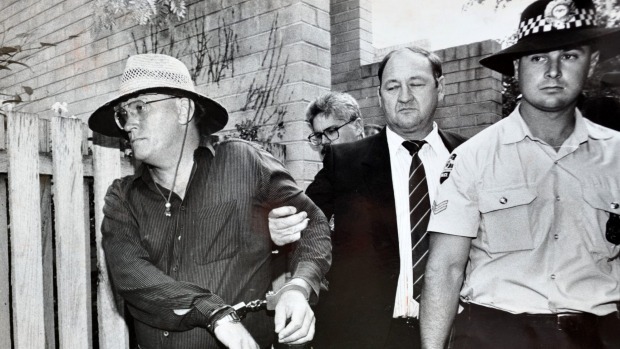 David Eastman is facing a retrial for his 1995 conviction of the killing of federal police officer Assistant Commissioner Colin Winchester in 1989. Mr Eastman’s original conviction was quashed in August and he was released from jail. This is happening even though a lot of the evidence that convicted Eastman has disappeared or has since been found to be highly questionable. Authorities are also sitting on a large file suggesting that the mafia killed Mr Winchester. The federal police have a file with evidence pointing to the mafia being responsible for killing Colin Winchester and that file should be made public. The ACT DPP has viewed the file but it is time everyone knew what was in it otherwise we will continue to have a case that has some similarities to the JFK conspiracy and cover-up, just on a smaller scale and in Australia. There are a lot of people in government and the law enforcement fraternity very worried that if David Eastman walks and is not retried then authorities might come knocking on their doors for answers. One such person is Michael Adams who is now a NSW Supreme Court judge. Justice Michael Adams who was the prosecutor is the 1995 Eastman trial is still suing Fairfax Media and journalist Jack Waterford for defamation because they alleged Adams acted corruptly when he prosecuted Eastman. I can vouch for Justice Adams being corrupt as I have seen his handiwork in court. (Click here to read more) The defamation case seems to be going nowhere fast. It was instituted by Adams in March 2013 and was set down for another directions hearing in the Federal Court on November 14, 2014. What happened I do not know as the Federal Court has not updated the records but based on previous hearings the delaying game is being played. As a side note the judge hearing the case is Justice Rares who was also one of the judges who quashed Eastman’s conviction. If the case does end up being retried it can never reveal all the truth as many people have passed away since the murder. But a retrial is probably the only way to get close to the truth. The federal police are not doing anything about investigating the matter further or even entertaining that someone else other than Eastman killed Colin Winchester. The matter has a long way to go and looks like getting stuck in the courts for another couple of years. Hopefully we will end up getting somewhere close to the truth. Well, a long list of stuff-ups by the AFP indicates that they have not learnt much over the years. So easy to focus on Eastman. I’d like to see how much effort they put into widening their inquiries on those three murders over the years. Incompetence seems to be a fair description. What a Mess .. !!! Looks like the AFP are trying to copy the Canadian mounted police “always get their man” unlike the Mounties it doesn’t matter if it’s the wrong man. The trouble with this country their are too many innocents in jail and too many crooks running free outside. Smacks of incompetence or corruption doesn’t it. Like Jack said God help Eastman, if their is a God. Allan from myalup.WA. Alway laugh when I remember the scorn shown for AFP in international peacekeeping circles … Australia’s Fattest Police. Anyway, you got the wrong bloke, fellas! Keep looking!